Hello and welcome to my blog. I hope that you are having a wonderful day. 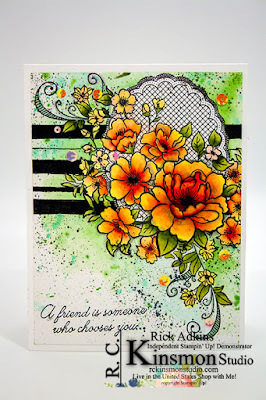 Today, I am sharing a card that I created using the Lovely Lattice SAB (Saleabration) Stamp Set and the Beauty Abounds Stamp Set from the Occasions Catalog. I did something something with this card. 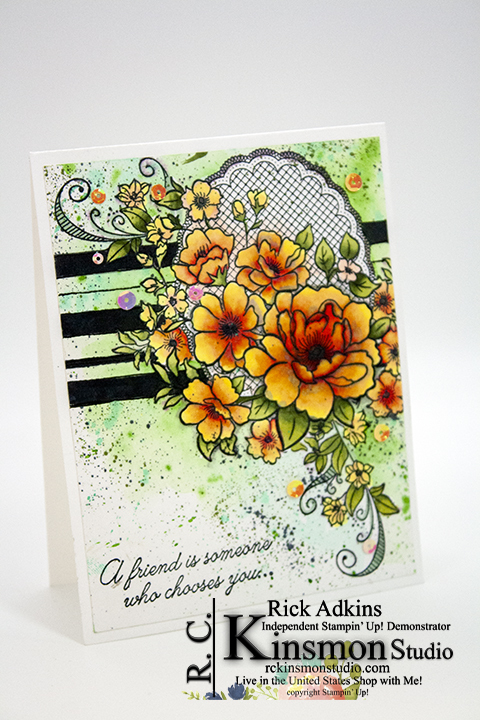 I created a fun modern card with a floral and graphic pattern. 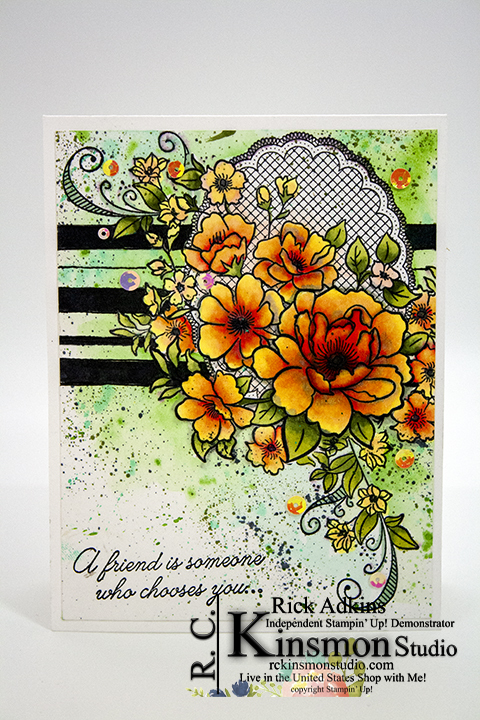 This created a fun new look for this card. Here's a look at today's card. 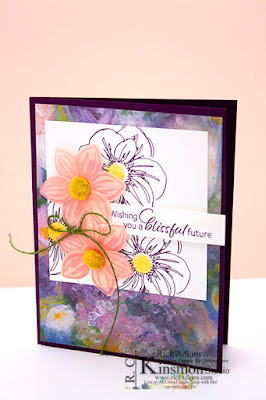 When I created this card I had the idea and knew what I wanted to do but it took a minute to come up with the how to. So I decided that the best course of action would be to do a little masking and use my Stamparatus to do the stamping. But in order to get both stamped images on the page as one required a little masking. 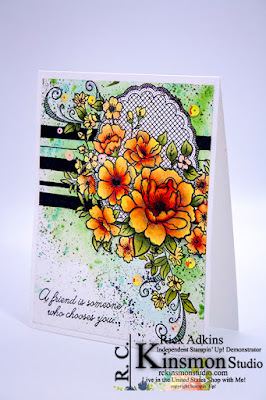 So I stamped the the image from Lovely Lattice first on my piece of Thick Whisper White Cardstock then while I still had the image on my Stamparatus plate I took a piece of masking paper and stamped the image again. I use the Avery Self Adhesive Removable Labels for masking; I got them off of Amazon I've linked to the ones that I use above. I then cut out the mask using my paper snips and laid down my mask over the stamped image. 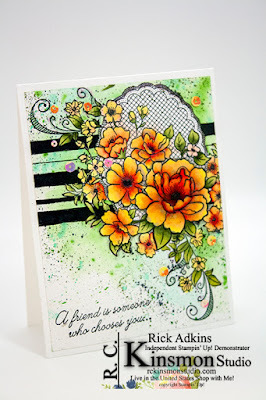 At this point I could take the stamp that I was going to use from Beauty Abound without having to worry about any unwanted stamping anywhere. 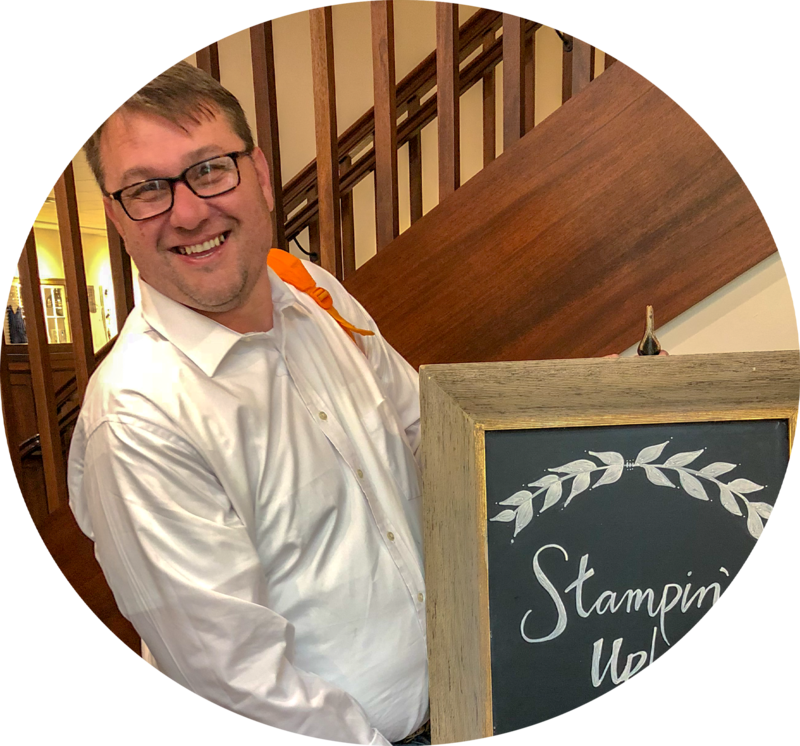 Once the stamping was complete it was time to pull out the Stampin' Blends and watercolors and start the coloring process. I started out by coloring the flowers and leaves. I colored the images with Poppy Parade Light, Pineapple Punch Light & Dark, Pumpkin Pie Light, and a little Calypso Coral Light blends. The leaves were colored with Mossy Meadow Light & Dark and the Old Olive Light blends. I threw in a little of the Dark Mint Macaron Stampin' Blend on the vines coming from the flowers. I then took my watercolors and added a little water around the image and added in a mint color and a green. I let these colors blend together and then worked my way around the image. At this point I took my heat tool and dried it really well. I flicked on some Mossy Meadow, and Smokey Slate from my blends. I then took a straight edge and drew a few lines with a pencil. I made sure to vary the thickness of the lines. Once this was done I took my journaling pens and went over each line that I drew. 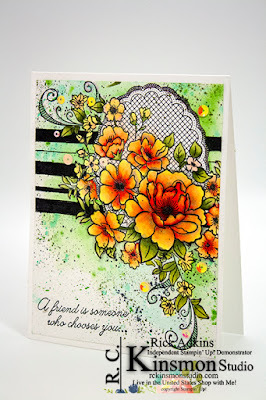 Next I colored in some of them with my basic black stampin blend marker. This created a nice bold graphic pattern. Once all this was done I then took my Smokey Slate blends and went around some of the flowers and created a look of dimension. To finish off the card I stamped the sentiment from Beauty Abound in Memento Tuxedo Black ink. To get a nice dark image I placed the stamp in the Stamparatus so that I could stamp the image twice in the same place. By using the Stamparatus I was guaranteed perfect placement. 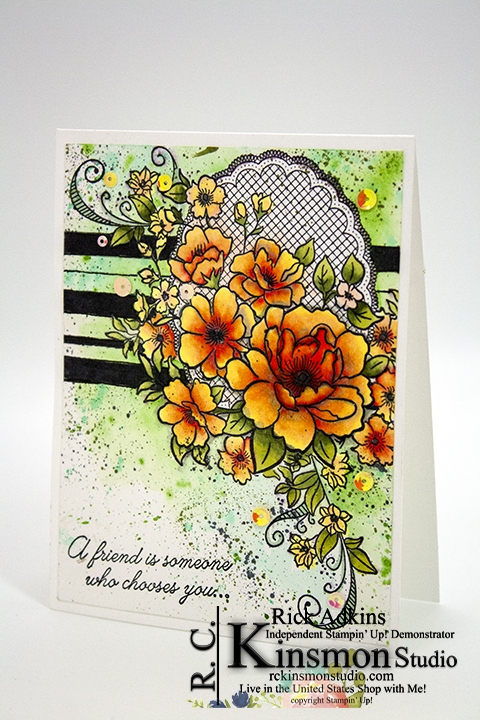 I added a little extra sparkle to the card by adding a few of the iridescent sequins in Powder Pink and So Saffron from the Iridescent Sequin Assortment pack. Yes, I picked out just these two colors. I sat down and separated all the sequins out into a different container. This allowed me to be able to see each color and use them without grabbing the wrong one so much more easily. It was a little more work in the beginning, but so so worth it. If you would like any of the supplies that I used on my card you can pick them up in my online store by clicking on the images below in the supply list.